Prayer is work—and it requires all-out battle. It is not an idle pastime or an optional exercise reserved for more “spiritual” believers. Prayer is the hard-work business of the church of Jesus Christ. The kind of prayer that changes hearts and transforms neighborhoods and rebuilds communities and revives nations is intense, fervent, and all business. It takes a proactive commitment on our part to set aside the time and effort to be strong in prayer and to give energy to our praying. Colossians 4:2 says we are to “continue earnestly in prayer.” That’s what it means to be a “prayer warrior.” Hand-to-hand combat with issues of daily living, fiercely fought in front of our Father—that is what committed Christian prayer looks like. I’ve learned that Satan trembles when he sees the least of God’s children on their knees. Praise given to God causes the enemy to be incredibly uncomfortable. Whatever he wants to do, he has to work ten times harder to do it when God’s people are praying. 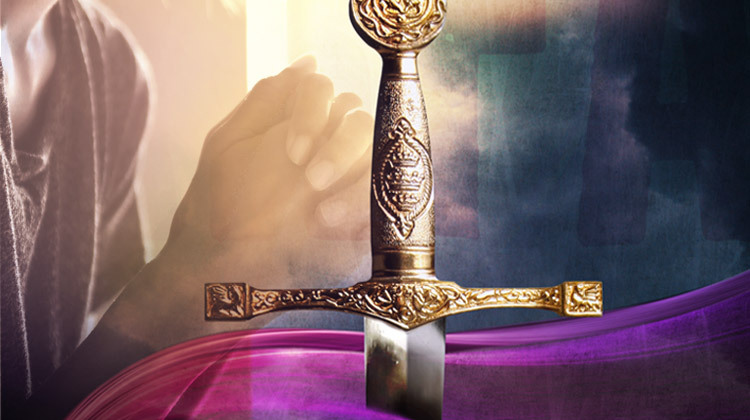 The Warrior’s Prayer is a poetic prayer based on Ephesians 6 that helps you pray on the spiritual armor God has given you and prepares you for daily spiritual battle. putting on the whole armor of God! so I will not be a victim of Satan’s lies. me and be a light to all I encounter.